According to Islamic tradition our forefather Adam (alai) first descended to earth in Serendib (modern Sri Lanka) upon Adam's Peak. From the very beginning it seems that Serendib was the nearest of all places on earth to heavenly Paradise. And a great deal of this divine endowment is still preserved in Serendib to this day. Above: Kataragama Mosque & Shrine. Below: Illustrious visitors to Kataragama include H.H. 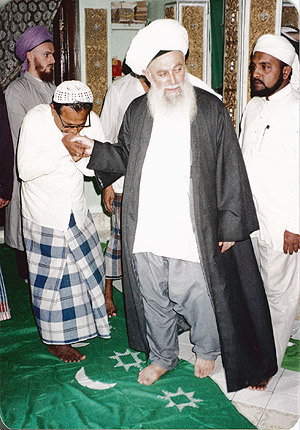 Sheikh Nazim Adil al-Haqqani of Cyprus and murids, seen here within Khidr Maqām. 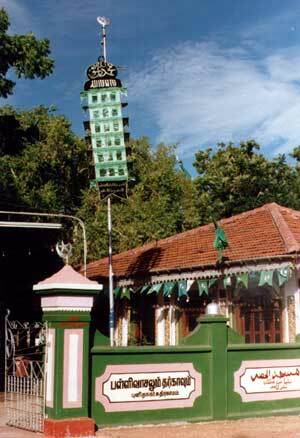 Islamic Kathirkamam is one of the foremost living examples. Its fabulous wealth -- still largely untapped -- is amply testified by the thousands of Muslim pilgrims who go there annually even from distant places far beyond the shores of blessed Serendib. A simple yet powerful Mosque & Shrine there are intimately associated in quranic and pre-quranic lore with Hazarat Khizr (alai), 'The Green Man', identified with the mysterious servant of Allah and holy teacher of prophet Musa (Moses) spoken of in the Holy Quran (Sura Khalf 'The Cave'), is believed to be the discoverer of the Ma'ul Hayat or Water of Life. As the contemporary author M.C.A Hassan once observed:In olden days, people held this place in such reverence that a Muslim traversing the wilds in the entire Eastern Province and parts of the Northern Province shuddered to refer to Kataragama by name. If one were to inquire from another as to where he was going the latter's answer often was "to the Khizr region". The surrounding hamlets were listed as places receiving the patronage and blessings of Hazarat Khizr. A parallel testimony is found in the 1870 report by the Government Agent, Hambantota, Mr. Hudson who certified that: Mohammadans of the Village of Hambantota and the nearby villages come in vast numbers to Kataragama in search of a secret subterranean spring, the waters of which, if drunk are said to endow a person with the blessings of perpetual immortality. 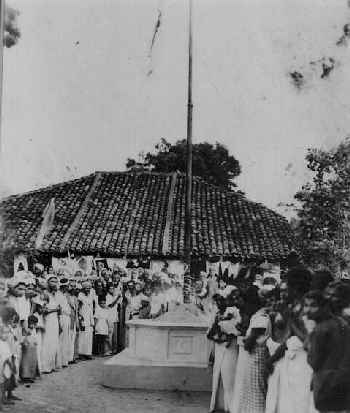 Above: Flag-hoisting ceremoney at Kataragama Mosque & Shrine, ca. 1950's. Originally a humble wattle-and-daub hut, the 'Khizr Room' as it was called was occupied by pious recluses who came to live a life of undisturbed prayer and poverty. They were faqirs or 'impoverished ones' in the genuine sense of being endowed with the ornament of spiritual poverty. The tradition also survives to this day. Muslims believe that there are certain times and certain places that yield a rich return to those steadfast ones wisely engaged in profitable undertakings. The holy month of Ramazan, for instance, represents an exceptional opportunity for believers to please Almighty Allah with offerings of prayer, fasting, charity (zakat), and 'remembrance' or zikr. What exactly is it, however, that Sufis or Islamic mystics are keen on 'remembering'? And who indeed is the mysterious figure of al-Khizr that so many claim to have drawn inspiration and blessings from -- and even to have met? And what connection has Kathirkamam with a body of lore originating from far beyond the shores of Serendib? Often associated with the biblical prophet Elijah and St. George the patron saint of England, al-Khizr in the traditions of Islam is identified with an unknown servant of Allah who was blessed by God 'out of His own knowledge' (min ladunni ilma) with exceptional wisdom and the gift of perpetual life -- the Water of Life in other words. Prophet Moses (alai), commanded by God to learn of the higher mysteries from this servant of Allah, found Khizr (alai) 'at the place where two currents meet and merge into the sea (majma'ul-bahrain). Local tradition maintains that the two currents are the visible Menik Ganga or River of Gems and the hidden or underground current of grace (Tamil: arul) and wisdom that issues from this site on the left bank of the Menik Ganga -- al-Khidr's Fountain of Life. Even prophet Moses himself, however, could not bear patiently with Khizr's baffling lessons into the paradoxes of life. With his third failure, Moses was obliged to part company with his strange teacher. According to the commentator Husain, al-Khizr was a general in the army of Zul- Qarnain (Alexander the Great) while some legends maintain that he was Alexander's cook. Either way, the association of al-Khizr with Iskandar or Alexander the Great has persisted from pre-Islamic times and is amply testified over much of south, central, and western Asia. To this very day, encounters with al-Khidr by pious believers continue to occur, particularly at Khidr-gamam. In Serendib, for instance, the principal Khizr shrine at Kathirkamam is situated a scant three hundred meters from that of the ancient war god Skanda or Iskandar deified. 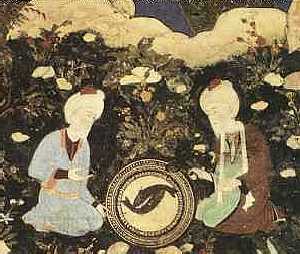 The two -- Iskandar and Khidr -- are said to have come together in search of the Fountain of Life; Khizr (alai) alone discovered and tasted the divine elixir. What Iskandar doggedly sought, Khidr found without seeking, they say. 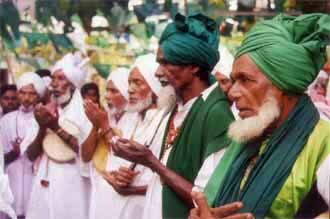 As recently as the sixteenth century, so many mainland Sufis continued to cross by way of Jaffna en route to Kathirkamam that the Portuguese authorities feared a native plot to infiltrate a mufti-clad army in to expel the colonialists. The old Jaffna pilgrimage route, ordered to be sealed off, fell into relative disuse thereafter. 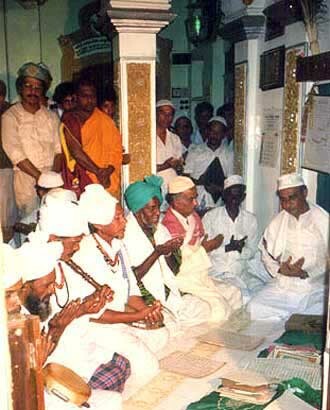 Yet many Sufi descendants still carry on the tradition of pilgrimage to Kathirkamam to this day.  In 1845 Seyed Jabbar Ali Shah came from Bakhara in central Asia to Kathirkamam in response to a divine summons. The saint lived a long life of solitude, prayer, remembrance, and voluntary poverty in Kathirkamam. His mausoleum today is a prominent feature of the sacred premises that are said to contain at least sixty unmarked graves of Muslim pilgrims. The annual 15-day Kataragama festival in July is a spirited occasion for Muslims no less than others. 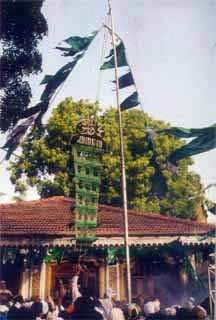 The colourful festival, dating from antiquity, officially begins only with the kodi-yetrum or ritual hoisting of an Islamic flag at the mosque, signifying to Muslims the primacy or preeminent position of Islam. Although pious Muslims keep strictly apart from non-Muslim practices, the Kataragama Mosque & Shrine is open to all humble seekers of truth and admits pilgrims of every confession. Kataragama, it is rightly said, is a place where every pilgrim is respected and people of all religions may mingle openly, sharing freely with others the spiritual food of their resective traditions. 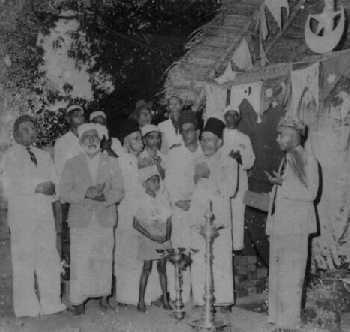 Anticipating a growing stream of Muslim pilgrims to Kataragama, the Mosque & Shrine under the even-handed stewardship of M.H.A. Gaffar of Galle has undertaken an ambitious and well thought-out programme of building restoration and expansion. Under al-Haj Gaffar's personal direction, the old mosque has been restored and improved to meet the needs of pilgrims while also preserving and protecting the sacred character of the site. A separate Muslim pilgrims' rest house with spacious facilities is also under construction in the New Town with the support of many Muslim donors. And yet among modern Muslims there are some who declare that it is shirk (idolatry) for believers to resort to the shrines of saints, although even the Holy Prophet Muhammad (sal) himself also did so. In practice, however, many believers have found that the intercession of Allah's beloved servants -- the awliya -- yields an astonishing return in the divine grace, wisdom and peace of soul that, in the final reckoning, is the best insurance and the only abiding asset on Judgment Day. This article was first published as in The Sunday Observer (Colombo) of April 7, 1991. Shahabuddin or Patrick Harrigan has been acting editor of the Kataragama Research Publications Project since 1989. See also reader's objections to this article and Shahabuddin's rebuttal.